Looking for that perfect work / life balance? 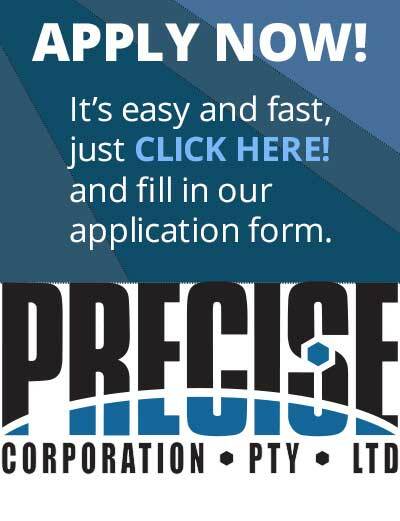 Precise Corporation's head office is located at City Gates, Mackay and provides labour hire and recruitment services for our clients. We charge one flat hourly rate so there are no hidden costs. This allows for realistic budgeting and expense monitoring. It’s said that a company’s greatest asset is its people. Precise has over fifteen years’ experience in finding and recruiting the best possible people to become your newest assets. Our goal is simple, to source and select the best candidates for a single role, an entire team or your total workforce. Forget the sorting of resumes, the short listing, the interviews, the reference checking and negotiations. Contact Precise with your requirements and we will deliver. We carefully match our candidates’ skills and experience with your specific criteria to ensure a successful outcome for both parties. In addition to labour hire we also give you the option to recruit candidates permanently. Precise can supply Diesel Fitters, Auto Electricians, Boilermakers, Operators, Servicemen and Trades Assistants to suit your needs. For all office requirements, we have a variety of administration and bookkeeping staff available. We are proud suppliers of industry leading services to many highly respected organisations. We believe our people are our main strength and as such go to great lengths to look after them. In the past fifteen years since our inception Precise Corporation has had no lost time injury. That’s right, a 100% safety record - a benchmark in the mining industry and a clear indication that Precise Corporation really is the Safe Choice.